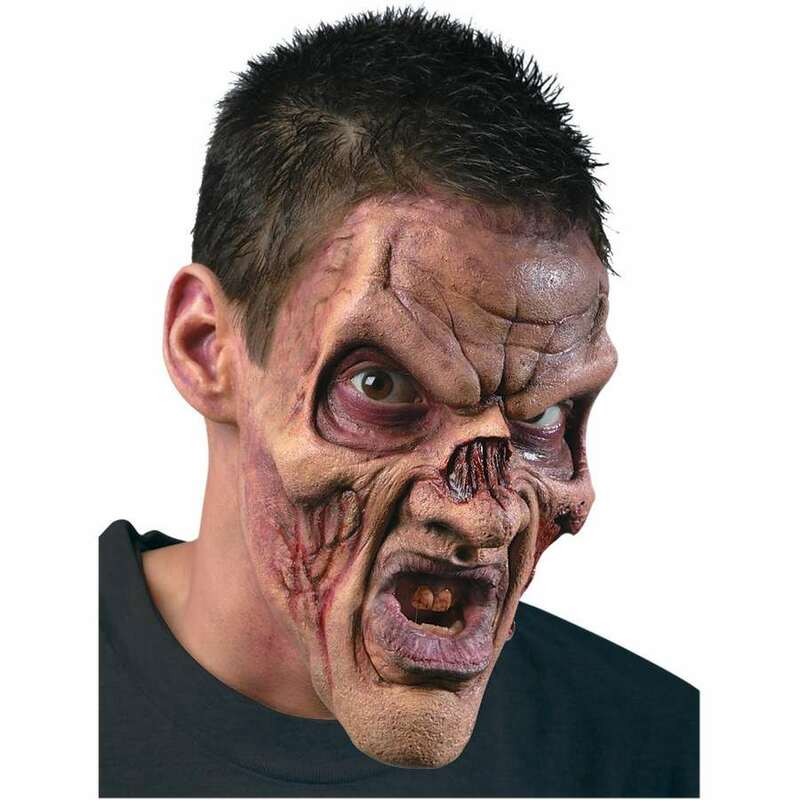 The Ghoul Face Latex Appliance is a full-face foam latex Halloween mask that you adhere directly to your own face with spirit gum adhesive. Allows for a much more realistic look than wearing an over-the-head Halloween mask. The mouth will move with your own mouth movements. A perfectly creepy mask for haunted house actors who are interacting and talking with patrons. Light and comfortable. Can be reused - must be carefully removed so that edges are not torn for best results for reuse. If edges are torn, they can be blended in with liquid latex. Mask is unpainted and comes with translucent powder, spirit gum adhesive & remover, step-by-step instruction booklet, 8 color makeup tray, makeup applicator brush, 2 makeup sponges and 2 stipple sponges.